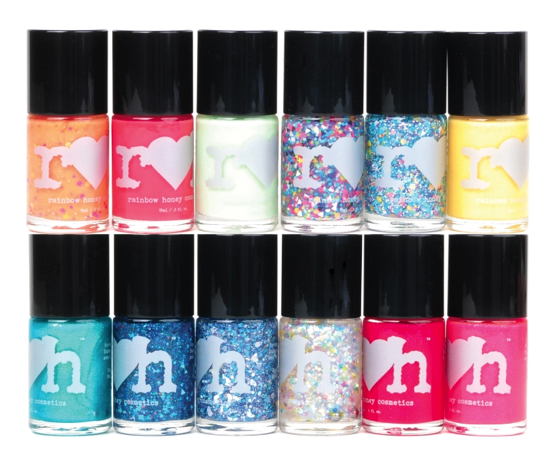 Rainbow Honey just introduced a new collection called Summer Mixtape! It's available for purchase right now, and they sent me a few polishes from the new collection to review for you! I just love the look of their boxes, they're so cute! 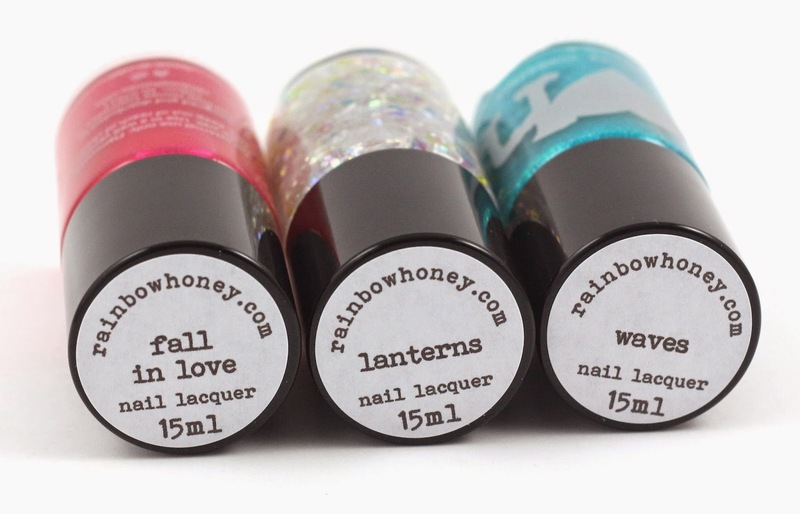 Here are the three polishes they sent me, Fall in Love, Lanterns, and Waves! So pretty! I also love the look of their full size bottles. A closer look at the names of the polishes. Fall in Love - (Side B) "Fall into this cool toned crimson red jelly with sparks of blue iridescence" This is a really pretty and surprisingly opaque jelly, and it's a little darker than shown in the bottle. 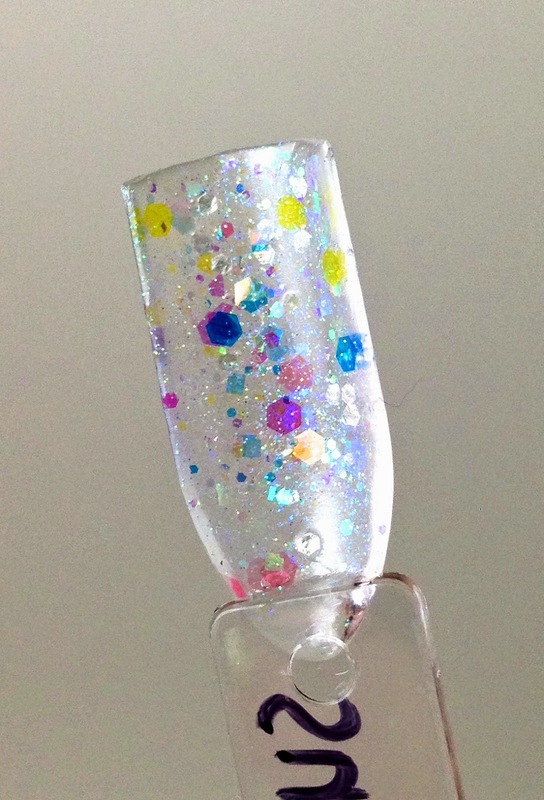 I would absolutely love this on fingers or toes all year round. Such a great fuchsia color. Lanterns - (Side B) "Light your way with this luminescent blend of iridescent and translucent glitters." 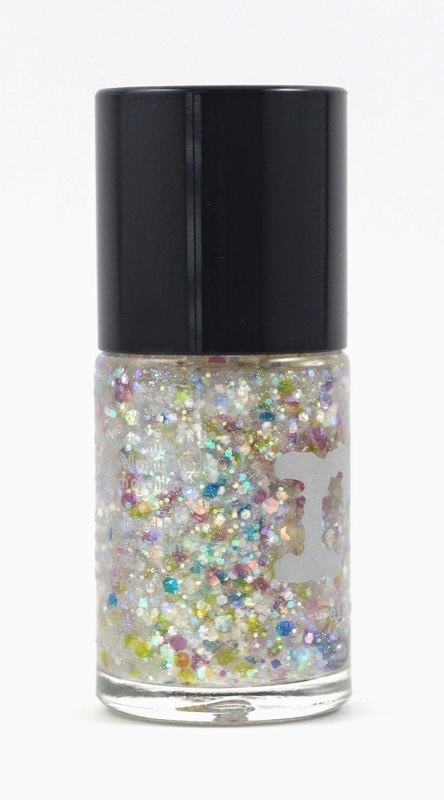 This is a really interesting glitter topper, that definitely reminds me of fireflies, or camping in the summer. Quick swatch of Lanterns. So colorful and sparkly! Waves - (Side B) "At least we made some waves with this sparkling, glass-flecked turquoise." This was a featured polish in the Rainbow Honey mystery bag a few months back, and it was lovely then, and is still lovely now! This could be great as a topper over another color, or several coats by itself. Here's the whole collection! It's available now to purchase on Rainbow Honey. 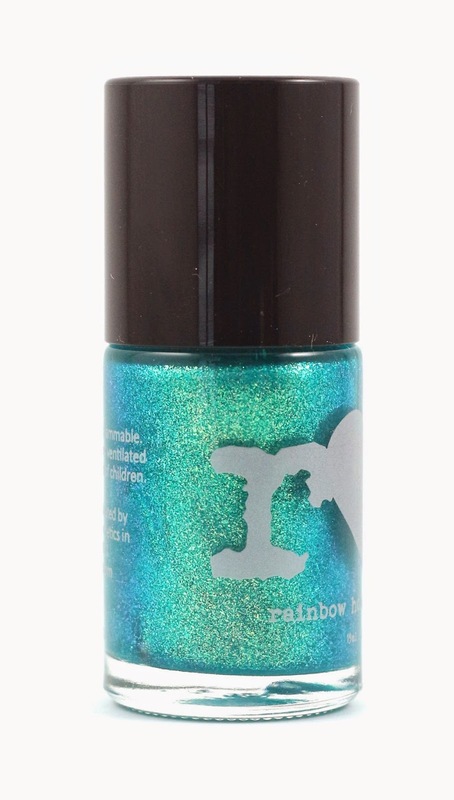 Overall, I think the collection is beautiful, and I would love to get my hands on all those wonderful glitters! If you're interested in buying this collection, use code MIXTAPE for 20% off you next order! Code can be used more than once, and on anything. Expires 8/31. 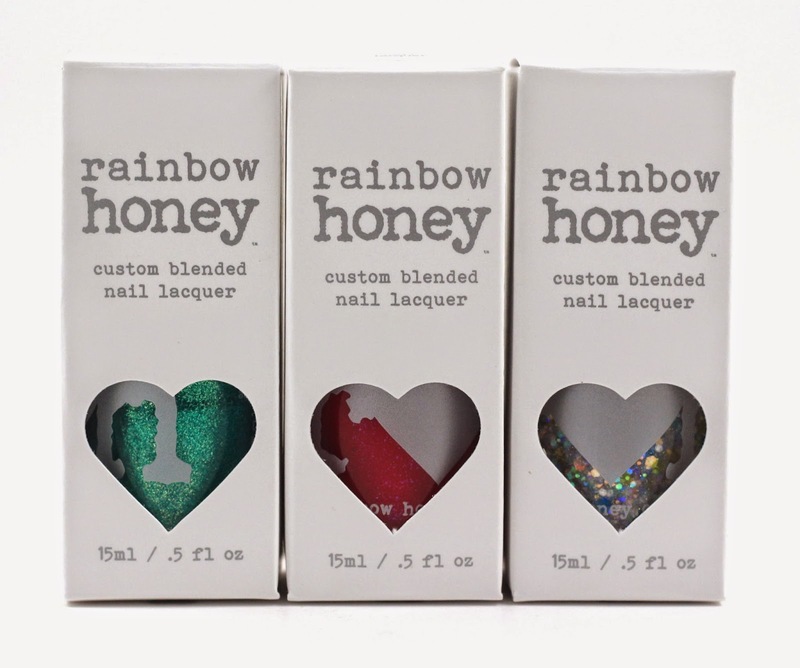 What do you think of the new Rainbow Honey Summer Mixtape collection? Let me know in the comments! 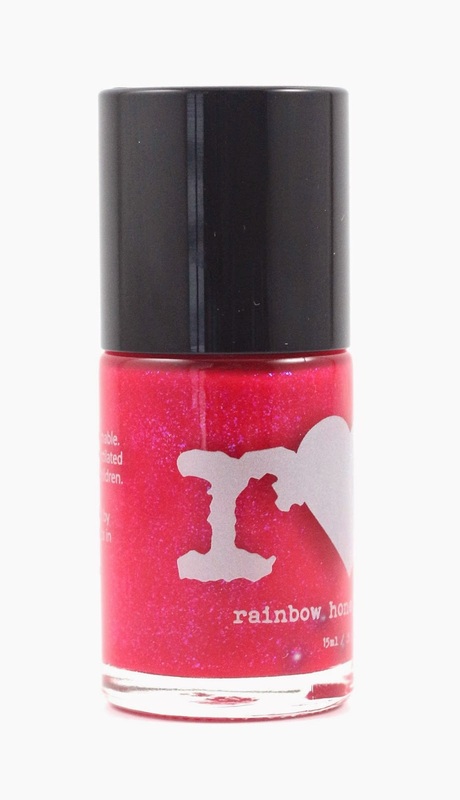 For all other Rainbow Honey reviews, click here. Disclosure: I receive these polishes complementary for review purposes. This is my honest review.